Four-time All-Star and Ottawa Senators defenseman Erik Karlsson has played in the NHL since 2009 shortly after he was drafted by the team as the 15th-overall pick in 2008. 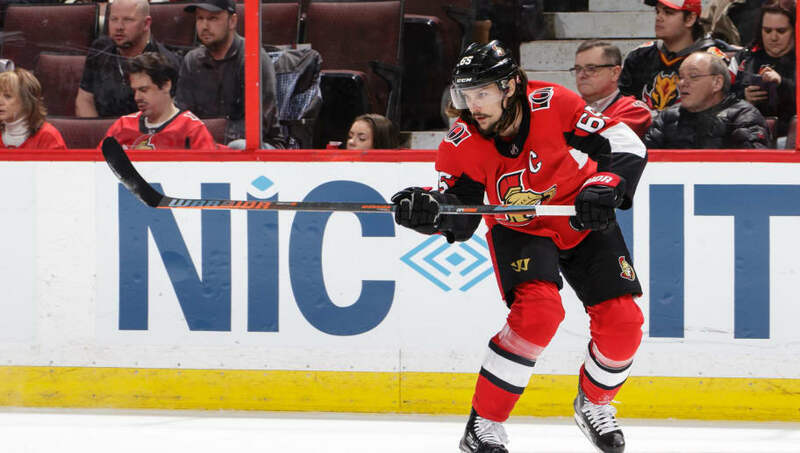 Though he has been a Senator his entire career, Karlsson hits free-agency following the 2018-19 season, which could mark the end of his 10-year span with them. The 28-year-old has not even ruled out staying in Canada long-term, either, as he's quick to deny rumors suggesting the opposite. The Sweden-born player tallied nine goals and compiled 62 points in 71 games played. With the Senators missing the playoffs last season, another bad year could lead to a house cleaning. Still, Karlsson is one of the best defensemen in the world, and would be a valuable asset to just about any team in hockey. Karlsson has made it clear he will not sign a deal worth anything less than what he believes he deserves, so expect his options to be wide open a year from now.